Mr. Acosta graduated from Loyola University Chicago with a B.S. in Anthropology in 1996. He immediately went on to graduate from John Marshall Law School where he obtained his J.D.. Prior to, and 6 months after graduating from law school, Mr. Acosta worked for the Cook County State’s Attorneys Office in Chicago, Illinois where he gained valuable experience on how the Criminal Justice System works, including the procedural aspects of the criminal justice system. Mr. Acosta also prosecuted dozens of drug cases as well as gun cases and many other types of felony offenses. After working for the Cook County State’s Attorneys Office, Mr. Acosta then went on to work for several very prominent Chicago criminal defense attorneys. There, Mr. Acosta learned how to defend people who have been accused of crimes vigorously and effectively. Mr. Acosta began to distinguish himself amongst older, experienced attorneys and the results were showing. In 2003, Mr. Acosta opened up his first law office. A small unpretentious space in Berwyn, Illinois which is still functioning. Soon thereafter Mr. Acosta began to excel and show people in the legal community as well as his clients that he was in fact a different type of lawyer. 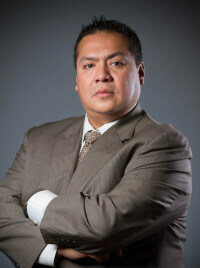 His practice expanded and within a few years Mr. Acosta then opened 2 more offices in the Chicago area.